5. 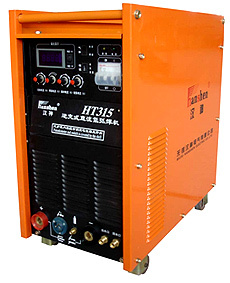 PRESETTING CURRENT ADJUSTABLE: Arc-starting, arc-crater, welding and pulsed current can be adjusted separately, easily to long distance operation with telecontrol device for these four current. Voltage wave, water lack, short circuit, overheat and over current. 2. Widely used in medical instrument, machinery, petroleum industry, chemical industry, construction and decoration, boiler and press container, power industry.